Just saw this pantera on the news. It was one of several exotic cars saved from a house in Ventura, Ca. The cars were parked on a street away from the house along with some vintage motorcycles. I know all our thoughts and prayers are with the owner of this car and the other homeowners in the area. The news reporter thought the home had been lost. Yeah it's bad here. Looks like a nice SL & Diablo in the photo too. I spoke with George earlier. He is ok, he was evacuated last night but is back at his place now but has no internet access and maybe is without elec. Fire came to other side of road from his place but didn't jump and he says nothing left to burn if it changes direction again. All are in our thoughts and prayers - just terrible. I just lost my part-time residence when my sisters' ranch burned to the ground in Santa Rosa in Oct. This fire stuff is nuts! Damn that George Bush and his Global Warming! He started it all! Seriously - my best wishes to all those affected. This is madness. That must be George Walker's red 5S Pantera. 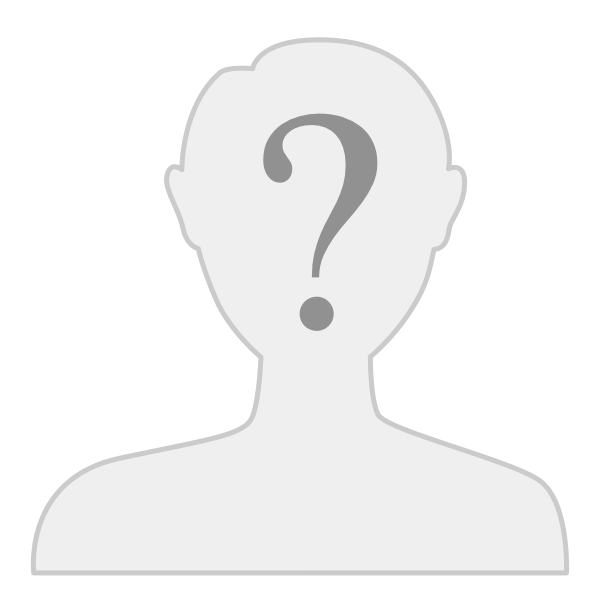 He lives a block or two away from Doug Fawcett, whose forum name is Dougo. Keep them in your thoughts. 6018 is locked away in a storage unit at the Ventura marina, safe and sound. Debbie, the dogs, and I are fine. Debbie and I jumped in her car around mid-night last night and drove away with the fire rushing down the hillside east of our home. Last night changed my perspective of palm trees. All the other shrubbery and ground cover decorating the roadway where we live was fine, but the palm trees lining the road went-up like roman candles. From now on whenever I see a palm tree, I'll have that image in my mind. Palm trees are the last things you want growing near your home when there's a fire. There are scorched palm trees about 15 feet from Debbie's parking spot, 35 feet from our condo. The condo escaping the fire borders on the miraculous. That formerly green hillside east of our home is now blackened, nothing left to burn. Ventura's sky looks like Tokyo's sky the morning after Godzilla visited. Thick smoke emanating from scorched hill sides filling the sky. Ouch. Glad you're all safe and sound! Were all good here now! It got pretty scary thou Tuesday morning. Fire came down the hillside acroos the street from our house. The firefighters did an excellent job keeping the fire away from the houses. It did cross my mind a few times what if it gets really nasty....My wife and daughter gathered up allot of our personal belongings and took off for shelter, my son and I stayed back. We basically stayed out in front of our house most of the night and early into the morning. We watched hundreds of fire crews battle the fire. Back and forth on Poli St. Maybe we were a little foolish hanging around, but I had faith in the fire fighters and basically knew how much territory there was between us and the fire. The only unknown was the wind. It was howling at least 20 to 30 mph. Yes that was George Walker's Pantera. 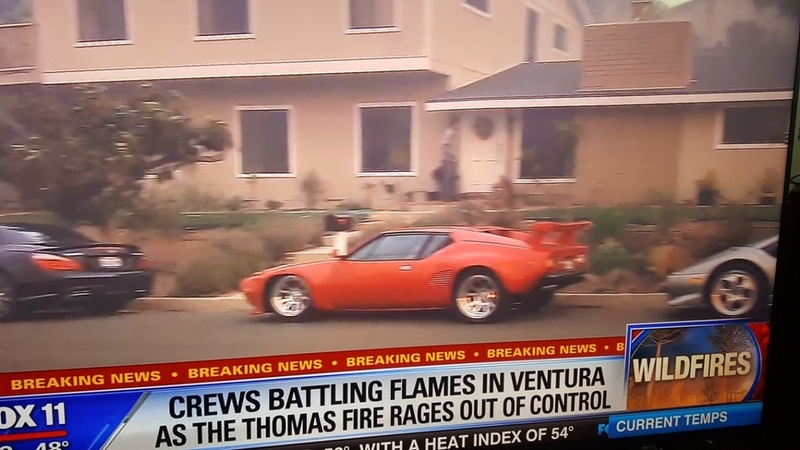 As I understand it, the Pantera and several other cars were saved along with several vintage motorcycles but his ocean view home with his 17 car garage was destroyed. He lost a vintage dragster and a 70 El Camino with a 454 and his Viper. This picture was taken from my back yard looking up at the hillside that's across the street from our home. George glad you guys are OK, we'll meet up soon!